Being an English teacher, I still look and cringe at my first, probably, five years of teaching. Everything that had got me to where I was, everything which I had experienced up until that point and had supported me through the years of working in terrible jobs – the wilderness years, as I like to call them – had books to thank; books and my ability to read them and stick with them. What shames me is that by the end of my fifth year I had just about thrown in the towel when it came to encouraging Reading for Pleasure in my class. At around about that point, I stumbled upon ‘The Book Whisperer’. Slightly cynical at first, the title sounded cheesy and cringeworthy, I’ll have to be honest. 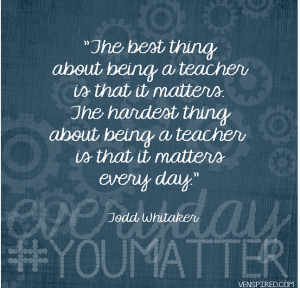 It, without a shadow of a doubt, changed me as a teacher. I read through this book with increasing ardour, angry at myself for forgetting why reading for pleasure is so important. Donalyn Miller, a teacher from Texas, had written a book which rekindled my belief in reading and one which is never very far from my desk whenever I contemplate reading for pleasure in the classroom. I return to it again and again. What struck me was not merely the simple message that if we are to create and develop children who will go on to be life long readers – and who would argue with that? – then we have to live that philosophy every day in class, not merely when it suits us. I had become the teacher who drops reading when things get busy, assuming it to be a luxury a packed curriculum could not afford, but the passion and love for her students which oozes throughout the ’The Book Whisperer’ convinced me that there is another way: Time, Choice, and Love have become the backbone of my practice in developing readers. Creating the conditions for our students to see reading for pleasure as a valued and valuable skill takes a lot of time and commitment but if we, especially as English Teachers, don’t do it, then who will? I’ve persisted with many of the strategist I found in this book – time to read every day, free choice, consistent support and discussion – even when it would have been easier not to. I’ve sacrificed other things in order to keep reading as a mainstay of every lesson. And, do you know what? My students make progress in all areas as well as leaving me having begun that process of becoming a reader. If you’ve ever heard me rattle on at Teachmeets or Pedagoo sessions then you’re more than likely to have heard me mention ‘The Book Whisperer’. And, while I read some incredibly good Educational books on all sorts of subjects, this one is my favourite. Donalyn Miller has followed this up with more of the same in ‘Reading in the Wild’ but her first book is essential for those of you who are responsible for Literacy and promoting reading for pleasure. Indeed the message screaming from each page might be, “There’s more to life than oaks you know, but not much more.’ Read it soon. Everyone who shares a post on their favourite edubook this September on Pedagoo.org will be entered into a draw at the start of October. The lucky winner will receive a Big Bag of Books from Crown House Publishing. Cheers for this Fearghal. Been out of the loop recently for many reasons (long story) but this is great. will get on it ASAP. Sorry for the slight delay but this week’s picks were chosen by the lovely people at my session at #pedagooxmasparty. Looking forward to hearing how you get on. I think my problem stems from my concerns about ‘rewards’ in general. Research seems to suggest that are rarely beneficial in the long term. Appreciate your thoughts. I suppose my point is that, like many behavioural management tools, does it seem to favour those who, let’s face it, behave well anyway. Can that cause demotivation?